When you want to grow spiritually, the best place to turn is always the Bible. However, just like going to church on Sundays, other believers can point out biblical truths that we alone may have missed. 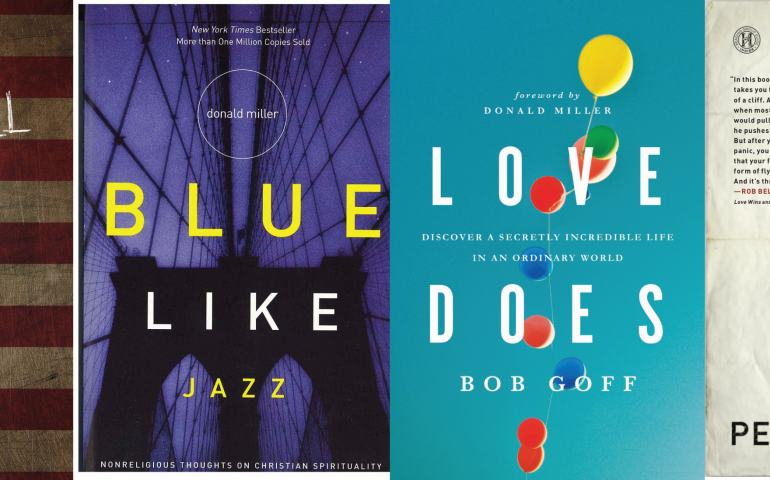 Here are four books to read this fall that will grow, challenge and strengthen your faith. Please don’t judge this book by its cover. Peter Rollins is known for his shocking titles and subject matter that appears to be anti-Christian. Honestly, not everybody will agree with the ideas that Rollins presents. This book is worth reading not so that we can simply absorb his radical ideas, but instead so that we may be challenged and, by walking through the fire, come out the other side with a faith that is stronger and more realized than ever before. Perhaps your youth pastor has suggested this book to you. Maybe you’ve seen it on your parent’s bookshelf. Even if you’ve never heard of Blue Like Jazz, its content is just as relevant today as when it was written. Published in 2003, Blue Like Jazz hits many of the same beats as Love Does, but with a much more eloquent and thoughtful writing style. Miller is very honest about the things he has struggled with, but also provides ways that he has overcome issues in his life. Sophomore Mady Martin said, “I liked it because it looked at Christianity from a really different perspective.” Read this if you want interesting and unique perspectives on spiritual topics that we all too often gloss over. Much like Insurrection, A Farewell To Mars will challenge you to evaluate why you believe what you believe. Focusing on a biblical view of pacifism, Zahnd covers various topics throughout the short read, including crowd mentality, capital punishment and loving one’s enemies. Even if you don’t agree with the idea of pacifism, this book encourages readers to think about what they hold true and create a dialogue in their community. After all, there are many ways to interpret the bible. One of the best paths to understanding our own beliefs is to learn about the beliefs of others. These are only four of countless Christian books one could read this fall. It is important to remember that one needs to keep a watchful eye while reading non-biblical books about faith and spirituality. If you simply absorb other’s ideas of God without critical thought, then is your faith truly your own? Instead, read these texts with an open mind, with hopes that you can use some of the ideas presented to you to better carry forth the work of the gospel.